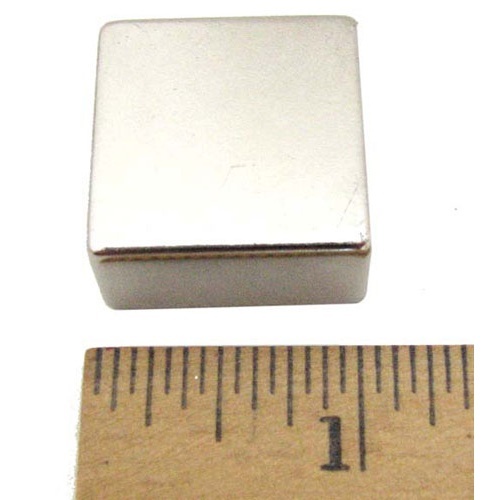 Looking for a very, very, very long refrigerator magnet? 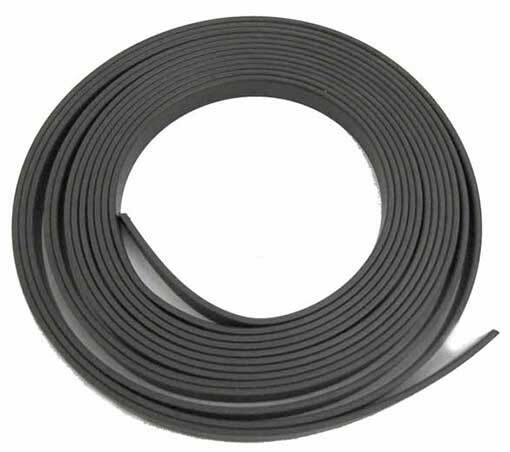 At 15 ft, this 3/8" wide x 1/16" thick magnetic strip should just about go up one side, across the top, and down the other side. It's flexible, but can be broken if bent back against itself -- which means that small children can make craft magnets without having to cut the strip or themselves! We love it when a plan comes together! Pick up this 1-3/4" x 7/8" x 3/8" ceramic pick-up magnet while we still have it. It's in a heavy metal housing and has a stationary metal hoop, about 1/2" i.d., on top. 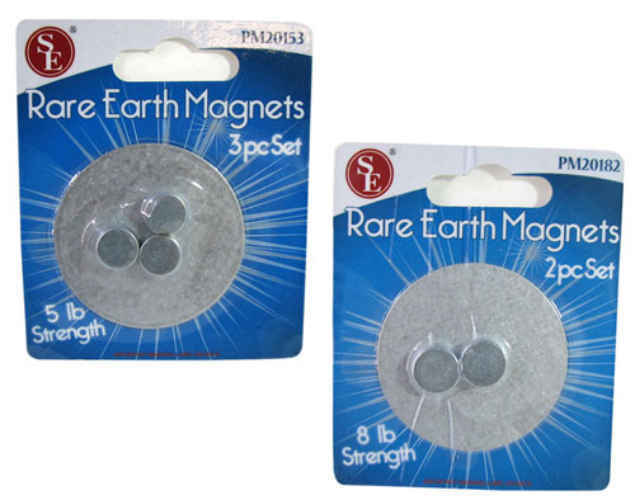 The manufacturer tells us the magnet will grab up to 5 lbs of metal, however Pat and Magnet Testing Team #3 have repeatedly lifted 10+ lbs, so it's very strong. Especially if you're going to dangle it on the end of a cord to gather spilled nails or to fish your keys out of the lake/pond/sewer/drain! 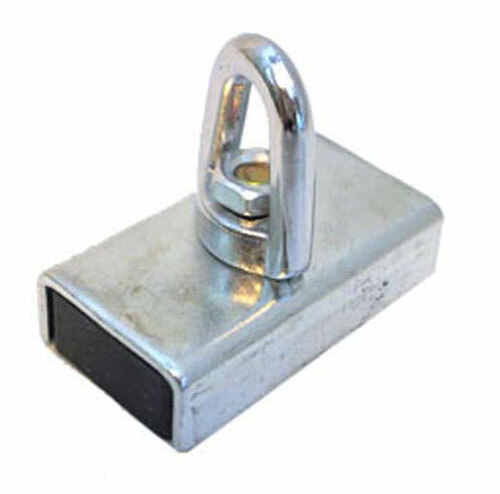 Voted most likely to attract by the judges, this magnet has the relative strength of 10 men. 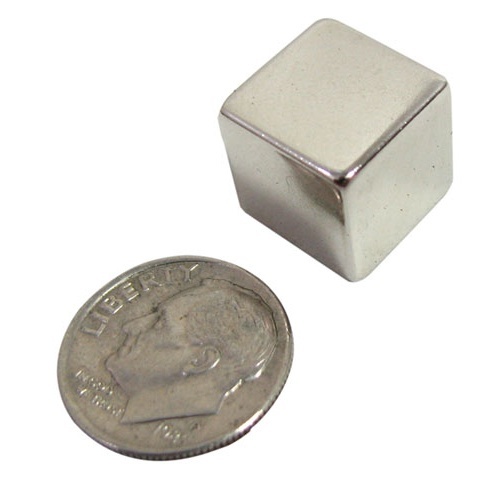 A shiny silver 1/2" cube of neodymium magnetism, it packs approx a 15-lb pull. If our boss Pat were that strong he could lift 2,160 lbs! Besides its superpower strength, this beautiful cube also would improve the looks of your fridge or bulletin board to no end. 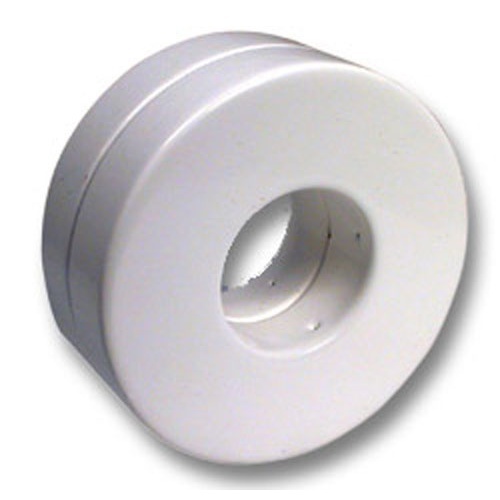 Okay, it isn't the cheapest magnet in the warehouse - but we pulled about 35-40 pounds with this 4-7/8" x 1" x 3/4" ceramic magnet, and we think it's a bargain. It has a 6" bracket with mounting holes on 5-1/2" centers, plus a 1/2" ID eyehook bolted into the center of it. It's all set to troll the bottom of the lake next time your filing cabinet falls overboard. 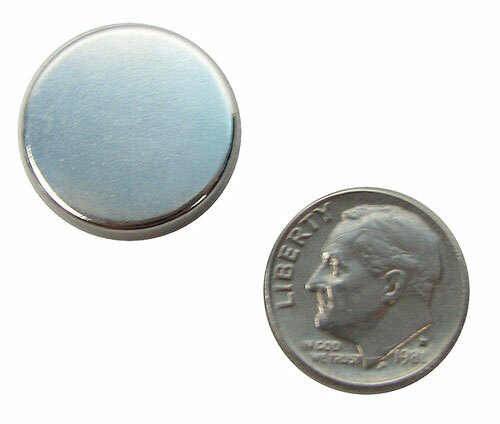 Very appealing plated N52 neodymium disc magnets are 3/4” dia, which is a bug-hair smaller than a dime, and 1/8” thick. They have an impressive 7-lb pull, while an actual dime won’t hardly buy you anything these days. 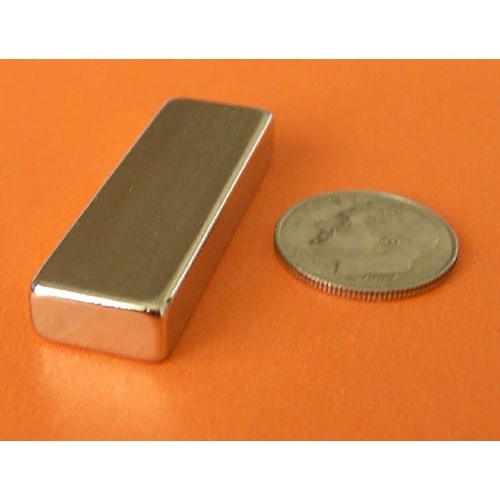 This plated N52 14,200 gauss neodymium magnet is shaped like a miniature silver ingot, measuring 1-1/2" long x 1/2" wide x 1/8-1/4" thick. 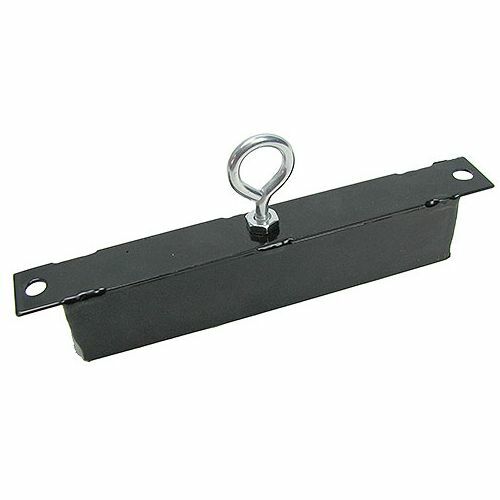 Has a big hangonability quotient, which the manufacturer claims is 15 lbs of pull, meaning it's probably closer to 13 lbs. Impressive either way for such a cute little magnet. 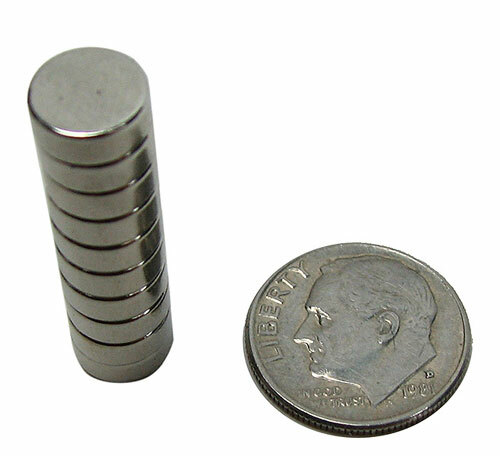 Rare earth magnets are usually killers for their size, and these thick nickel neodymium discs are no exception. 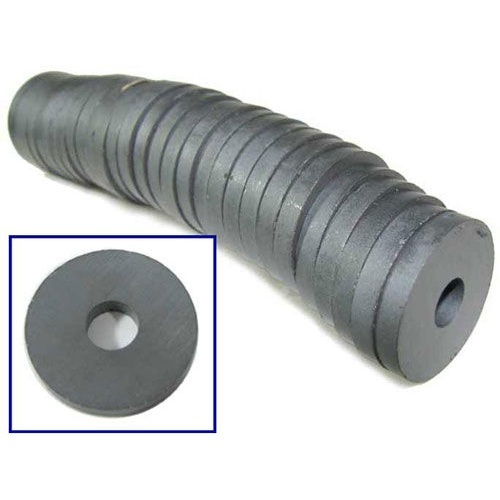 The price, on the other hand, for (3) 7/16" dia x 1/4" 5-lb lift or (2) 15/32” dia x 3/16” 8-lb lift magnets each stored on a 2" dia steel disc, is a rare exception.